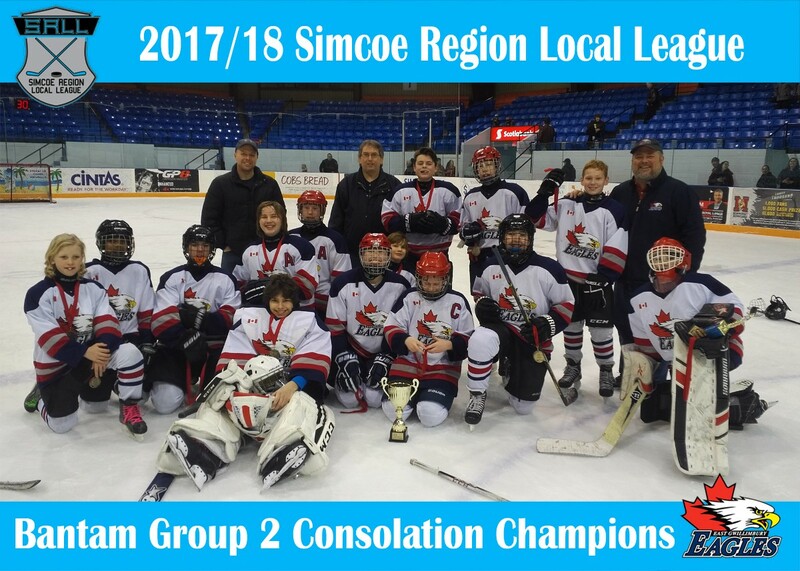 Congratulation to our Local League teams on a successful season! Three teams (PeeWee - Ballantine, Bantam - Ruby and Midget - Robinson) brought home their respective Group Consolation Championships. PeeWee Team 3 (Ballantine) took the Group 1 Consolation title in five games over the Beeton Stingers Team 2. 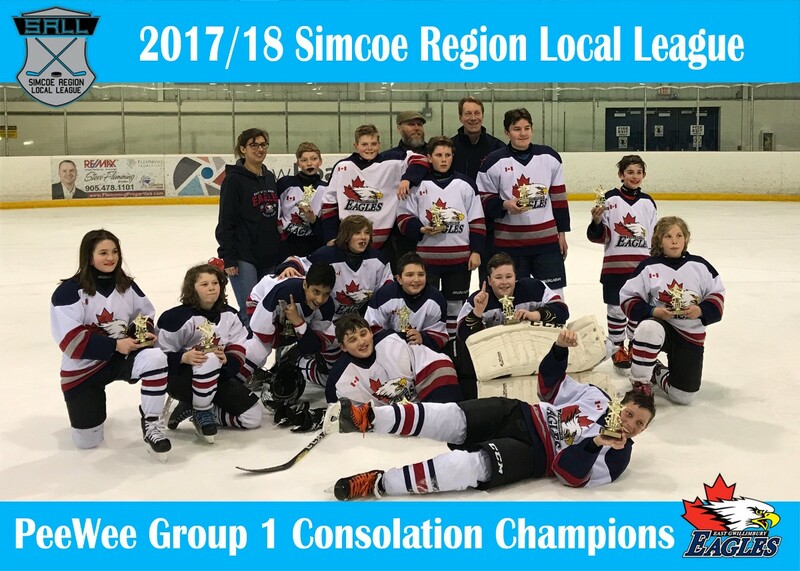 Bantam Team 3 (Ruby) took the Group 2 Consolation Championship with three straight wins against the Beeton Stingers. 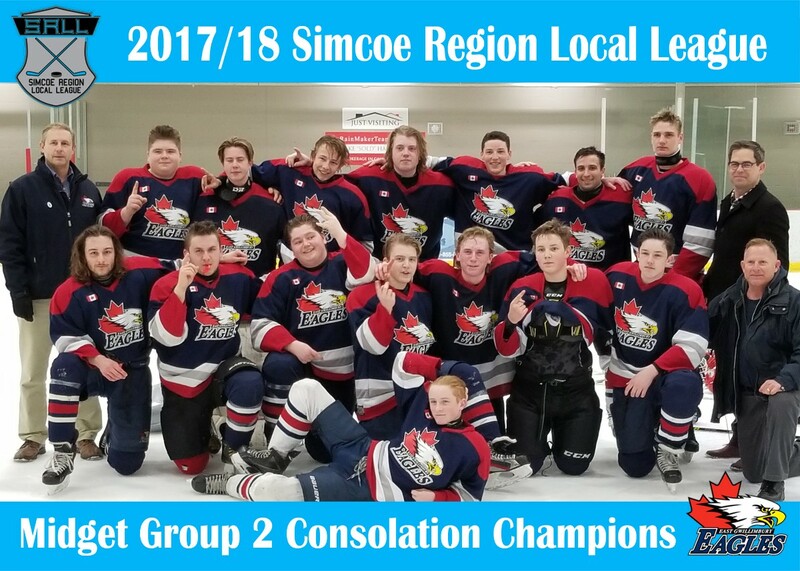 Midget Team 1 (Robinson) won the Group 2 Consolation Championships in 4 games over the Schomberg Red Wings. Congrats to all our Local League teams on great seasons!! !